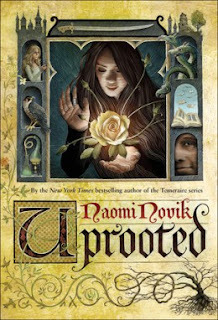 For the February meeting of Think Galactic, we discussed Naomi Novik's 2015 novel Uprooted. The Nebula-winning story is a kind of classic fantasy with much inspiration from Polish fairy tales, following a young witch as she learns about magic and tries to fight off an evil Wood that's creeping over her land. Very intrigued by the magic "system", particularly the kind used by Agnieszka. 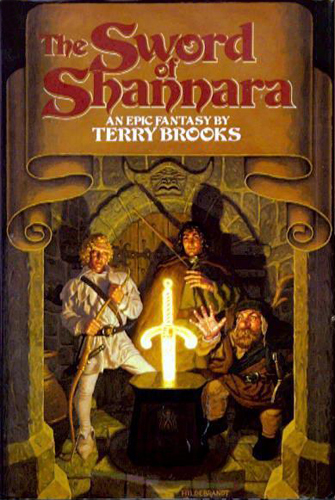 More artistic than many recent fantasy examples; we compared it a great deal to folk arts, musical improvisation, and especially cooking. How much to consider this YA. Inconclusive! Baba Jaga is a plus. We liked the friendship angle on Kasia & Agnieszka, although to be honest we found Kasia herself, dare we say it, a bit wooden. The Wood is one of the most compelling parts of the novel; a really complex evil that we spent a good deal of time analyzing. Talking about this in relation to the epic fantasy tradition ("is this epic fantasy? "), and particularly what it's doing with Tolkien and some other sources. "What's the deal with corruption?" Wondering what the Wood's influence stands for—thinking of the long SF/F tradition of using corruption/infestation/contamination as a way to think about other issues. We liked a lot of little nonstandard things about the plot mechanics—Agnieszka doesn't fall into most of the expectations of the genre or those around her. We had some critiques of the writing, almost entirely at a pacing level—a few places where it feels rough/weak, and a general consensus that it's just a little too long, somehow. The village/Wood/tower are extremely strong; the court intrigues & battle scenes felt weak by comparison. Analysis of the Dragon re: being a big jerk. -Book I, "In the House of Tom Bombadil"
There's also some interesting resonances with the history of Yavanna & the ents—a protective, frequently wronged forest-force—and possibly with Melian, Galadriel, and other "perilous woodsy queens" in the Silmarillion and elsewhere. Talking about the evil of the Wood in Uprooted—which is a really well-done malevolence, lots of actual horrific bits, satisfyingly inhuman—sketched out a possible answer to the "what's the deal with corruption" question: it has to do with trauma, with a kind of unhealthy anger, self-consuming, and—we also talked about where the title comes from—is connected with being cut off from the past, from community, from wholeness. Which throws me back to A Wizard of Earthsea and our discussion of it, now that I think about it—much of that plot (and others of Le Guin's) having to do with personal "wholeness" and its absence. Sword of Truth in Brooks. 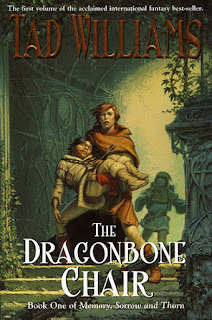 That discussion interwove with how we looked at Agnieszka versus the "wizarding world", particular the Dragon: her character and magic are rooted in folk traditions and living nature, while most of the other magic-users, and the Dragon in particular, seem to rely on both highly artificial, controlled practices and social isolation. Lots of discussion about how much we liked the way magic is used and presented in the novel, with lots of comparison to cooking and music. While, as aforementioned, we thought Kasia qua character was pretty bland, we really liked her relationship with Agnieszka. The possession/excorcism scenes were particularly effective, and had us referencing horror movies (and also brought Lewis to my mind again: Weston's devolution in Perelandra), and we really liked the "Summoning" spell and its unflinching truth-revealing, which the two get through anyway. We liked the parallels between the Dragon and the Queen in the Wood once we started thinking about them. Discussion of the Tower led us to tower/tunnel references, which VanderMeer's Annihilation has made inevitable for us ever since we discussed it. That kind of linked back into our talk about how the Wood's corruption is effectively horrific: talking about the spores and "strangling fruit" of Annhilation alongside the idea that being contaminated by the Wood is at least as terrifying as any of its physical monsters. The tower and other aspects of Uprooted—the descent into a foundation kind of haunted by previous events, the current evil as actually a twisted justice for an ancient wrong, things about how nature is dealt with—really put me in mind of Tad Williams' Memory, Sorrow, and Thorn, but it's hard to say if that might be an influence or if Williams was just pulling on a lot of the same sources that inspired Novik. MST has a Baba Jaga, too, one should note. 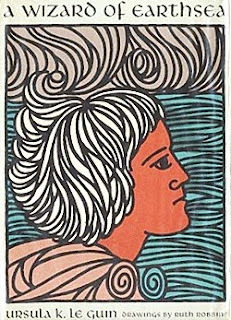 I've been thinking about doing a re-read of those for a while, and mentioning that took us into a brief and intriguing digression on re-reading and how things age. Reading great contemporary fantasy like Uprooted—Think Galactic's read N.K. Jemisin & Sofia Samatar recently, for instance—has a kind of spoiling effect on most (not all) older fantasy. It's that much harder to overlook the frequent sexual and cultural erasure (at best) with good modern counterexamples in addition to being a bit older and wiser readers. 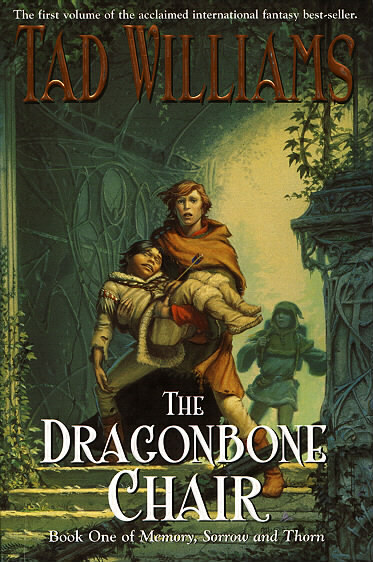 As seems to happen every few clubs, we debated the wisdom of re-reading McCaffrey's Pern books—which debate also wrapped around to Novik's Temeraire series, blurbed as "Napoleonic wars w/dragons". Lots of discussion about how this flips the script a bit on "Nature Benevolent"—intriguing that Uprooted uses a lot of nature signifiers (the color green, the smell of fresh plants) to indicate evil rather than good. We wondered if the increasing urbanization of humans has led us to look with nostalgic eyes at nature, where folks that historically lived close to potentially dangerous/predator-harboring forests weren't exactly all tree-huggy all the time. Some hilarious slash socially-insightful anecdotes on city vs. rural life were shared, and we mentioned The Blair Witch Project and some others as counterexamples to the "nature automatically equals good" trend. The Police song "Don't Stand So Close to Me"
Of secretly-turned Wood-agents: "They're plants!" Memory, trauma, and not being able to move on. 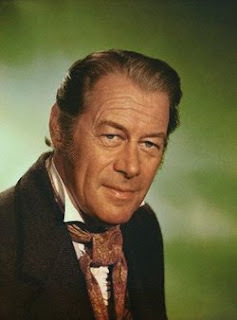 It was Rex Harrison who we couldn't remember. Truly wonderful discussion. Next time! We are reading Too Like the Lightning by Ada Palmer who, I should note, is doing a reading THE DAY BEFORE our meeting: March 7th @ 57th St. Books in Hyde Park. 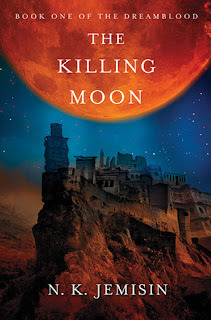 You can keep up with Think Galactic on their website, Facebook, and Goodreads.